Berlin made mistakes with its “open-door” refugee policy, which “went off course” and saw hundreds of thousands of asylum seekers entering the country over the past two years, German Finance Minister Wolfgang Schaeuble admits. The German government is currently trying “to improve what went off course in 2015,” Schaeuble told Die Welt’s Sunday edition in an interview. “We politicians are human beings and we also make mistakes, but one can at least learn from them,” he maintained. On Friday, Handelsblatt cited a Finance Ministry report that shows Germany spent €21.7 billion ($23.3 billion) on tackling the refugee crisis in 2016. Most of the money went to German states and municipalities, which received €9.3 billion last year, while measures to integrate refugees received €2.1 billion in funding. The straightforward statement comes on the heels of the severe refugee crisis that struck Germany in 2015. According to recent government figures, the country took in hundreds of thousands of asylum seekers, many of whom arrived through the infamous ‘Balkan route’ stretching from Turkey’s Aegean shores to central Europe. From 2015 on, Chancellor Angela Merkel’s government maintained what is now known as an “open-door” policy, despite an avalanche of criticism from the public. Last year, some members of Merkel’s cabinet began challenging the policy, with some suggesting a more selective approach. Later that year, the German government introduced a package of measures – otherwise known as “Asylum package II” (Asylpaket II) – which included putting limits on the number of asylum seekers admitted to the country and a roadmap for integrating those already in Germany. Germany subsequently broadened the list of the so-called “safe” third countries in order to accelerate the deportation of failed asylum applicants. While ambiguous and controversial, his statement called for more pragmatic economic engagement with the Middle East and North Africa – the regions that most refugees come from. “One thing is quite clear for the future – we have to invest more in Iraq, Syria, and Libya, and then we will have to pay for sub-Saharan Africa’s development,” Schaeuble said. However, he wrote in an October article for Die Welt that “the growing number of Muslims in our country today is a challenge for the open-mindedness of mainstream society.” Addressing the role of Islam in society, a hot issue in Germany, he vowed to create a “German Islam” compatible with the values of liberal democracy and pluralism. 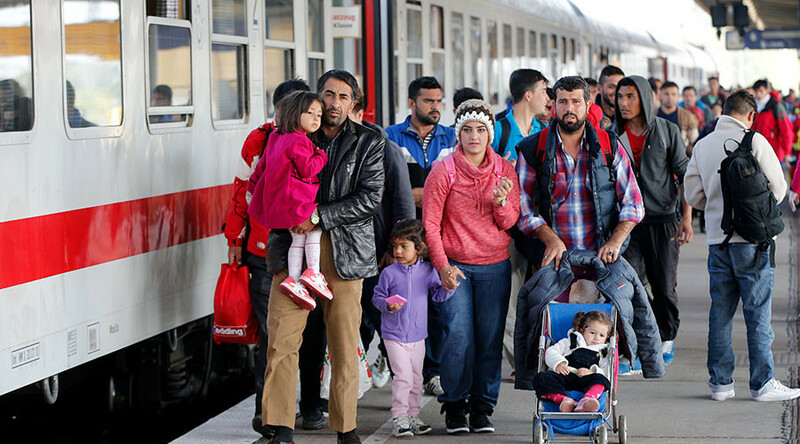 According to Eurostat, the EU’s statistics agency, Germany processed around 420,000 asylum requests between January and September of 2016 – more than the other 27 EU countries combined. The exact figure for the number of requests vary, however, with Eurostat putting the number at 612,000, while Germany’s Federal Interior Ministry claims it is 658,000.